A metal detectorist found a gold hat pin fashioned in the 15th century in a field in Lincolnshire, England. The jewel is believed to have belonged to Edward IV, a king who was famed for both his good looks and his dramatic victories in the Wars of the Roses. The ring is estimated as being worth as much as $18,000. Lisa Grace, 42, an amateur detectorist, discovered the medieval jewel, which is in pristine condition. The piece may have been lost in battle. Other clues to its royal ownership: At the center of the piece is a purple amethyst stone, another of Edward IV’s favorites. The pin closely resembles a jewel depicted on Edward IV’s hat in a portrait preserved in The Museum Calvet in Avignon, France. An official from Duke’s Auctioneers said: “The jewel does bear a striking resemblance to the one in a well-known portrait of Edward IV from the Musee Calvet.” But he also said that it could have belonged to a courtier. 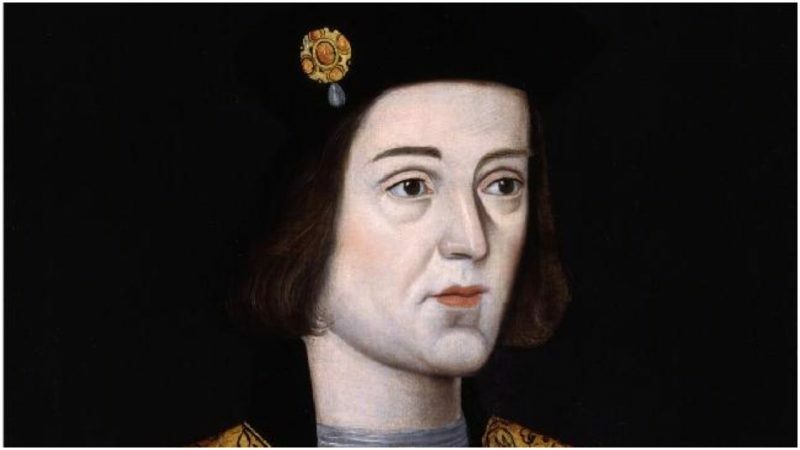 “The fact is we shall never know, but it clearly belonged to someone of high status in the upper echelons of medieval society.” Edward IV was not born the son of a king but was the oldest son of Richard, Duke of York, descended from Edward III. Richard and his supporters came into conflict with Henry VI, the Lancaster ruler who was widely derided for his weak character and suffered from at least one complete mental breakdown. 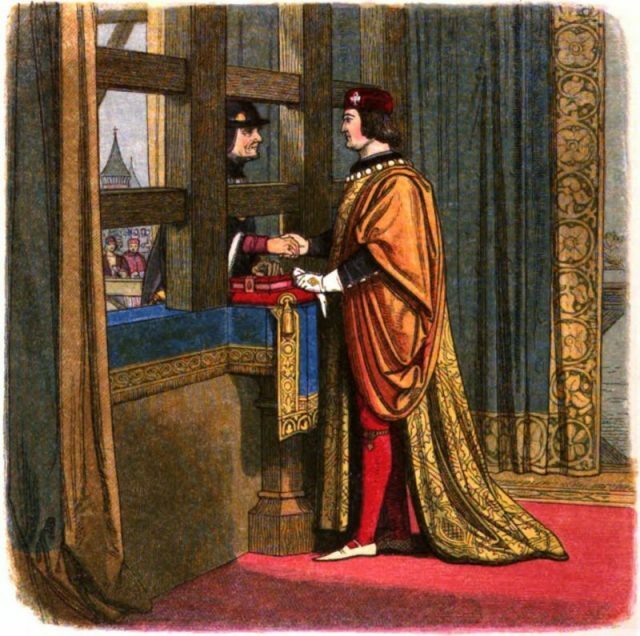 Richard of York served as regent during Henry VI’s incapacity. He died when Edward was in his teens and Edward became the claimant of the throne as the Yorks attempted to assume leadership of England through defeating the Lancasters in battle. 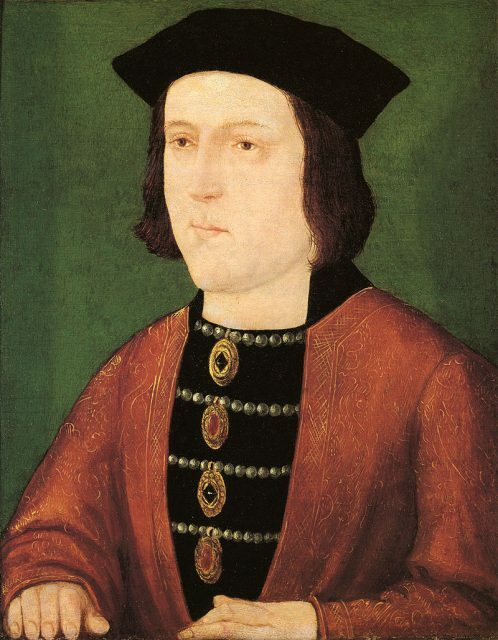 Edward IV was made king of England on March 4, 1461. Weeks after declaring himself king, he challenged the Lancasters in the Battle of Towton. 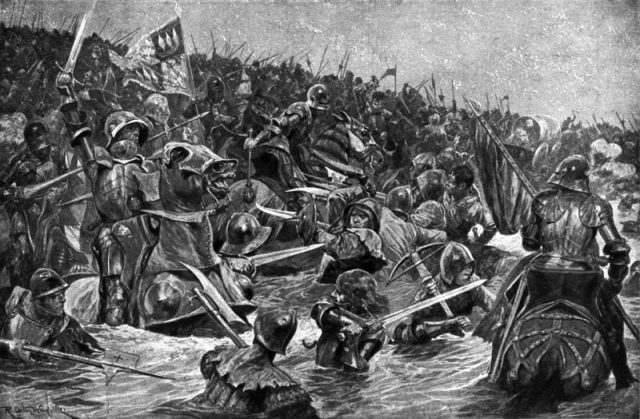 It was one of the bloodiest battles in English history, with nearly 30,000 dead, and Edward won, even though the Lancaster army had more men. In battles, Edward IV was an inspiring and able general. Edward was over six feet tall and considered very handsome. The Croyland Chronicler described Edward as “a person of most elegant appearance and remarkable beyond all others for the attractions of his person.” He was interested in creating a fashionable and glamorous court. His chief supporters wanted him to make a dynastic marriage but he fell in love with a beautiful widow, Elizabeth Woodville, and made her queen. She was highly unpopular, and Edward lost his throne to a resurgent Lancaster force for a time. After more battles, he was made king again in 1471. 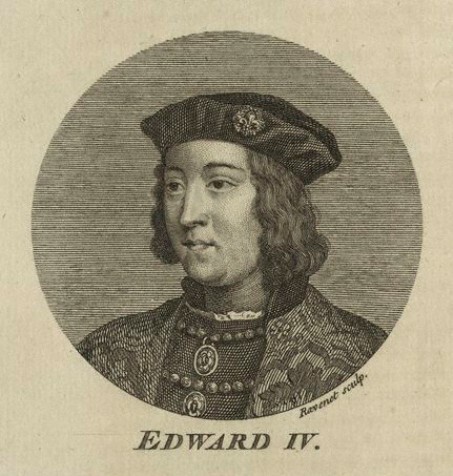 After this comeback, Edward IV ruled until his sudden demise from illness in 1483. He had become overweight and devoted to his mistresses. When he passed, his oldest son was only 12, and Richard III, Edward’s younger brother, usurped the throne. Edward’s two sons were both imprisoned in the Tower of London and disappeared from public view. Edward IV’s oldest daughter, Elizabeth of York, married Henry VII, the Lancaster claimant who vanquished Richard III in the Battle of Bosworth. Their son, Henry VIII, resembled his grandfather, Edward IV, in his height and some say his character. The present queen, Elizabeth II, is directly descended from Edward IV.